All too often I come across articles on giving that feature complex strategies like charitable remainder trusts, conservation easements, and starting a foundation. While these strategies can work for the right situation, the average American doesn’t need them. Here are three charitable planning ideas that the average American can use. Annie is in the 25% federal tax bracket and owns XZY stock that she bought several years ago for $3,000. The stock has appreciated to $12,000 and she no longer wants to hold the stock. If Annie’s capital gains tax is 15%, she will save $1,350 on the $9,000 gain and be able to give more to charity. I love 401(k) plans and traditional IRAs. They are the easiest way to reduce your current income taxes and they grow tax-deferred. When you die with money in a traditional 401(k) or IRA your heirs will still have to pay taxes when they make distributions. 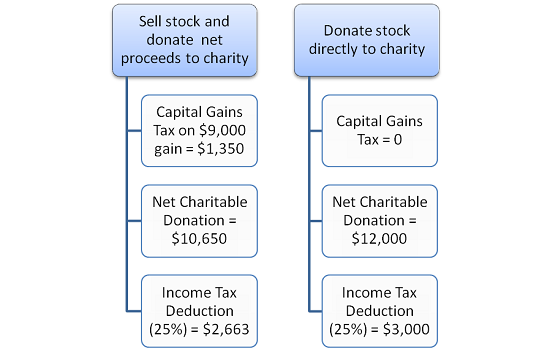 If you are going to give some of your estate to charity, one of the smartest things you can do is make a charity the beneficiary of all or part of one of your traditional IRAs or 401(k)s.
It is far better for your heirs to inherit Roth IRAs where the gains are tax-free to them. Stocks, bonds, real estate and mutual funds held outside of IRAs receive a step-up in basis at your death and are also tax-friendly to your heirs. You could have bought a stock 50 years ago for $1.00 and if it is worth $100 the day you die, your heirs will only have to pay tax on the gains above $100, not the gains above $1.00. This works the same for the house you bought for $200,000 that is worth $500,000 when you die. Donor-advised funds (DAF) have grown in popularity in recent years. A DAF is a charitable giving vehicle that is sponsored by a public charity that allows an immediate tax deduction in the year the money is contributed to the DAF, even though the funds may not be paid out to the charity until a future date. The donor can recommend grants to any IRS-qualified public charity. The use of a DAF is especially beneficial in the year a donor receives a large amount of income from the exercise of stock options, the sale of a business or the payment of deferred compensation, and where the donor would have wanted to make donations over time but would be limited in the deductibility of the donations in lower income years. While the donor can make grant recommendations, it is the sponsoring entity that has ultimate control over the grants. Provided the charitable organization and the donation meet the requirements, it would be uncommon to see a recommendation not followed. The sponsoring charities are required by law to ensure that grants are only made to qualified charities and are used for charitable purposes. If you have a windfall coming up or want to dispose of some highly appreciated stock, consider the benefits of opening a donor-advised fund. Make sure to consult your tax advisor before proceeding with any of these strategies. Happy giving.